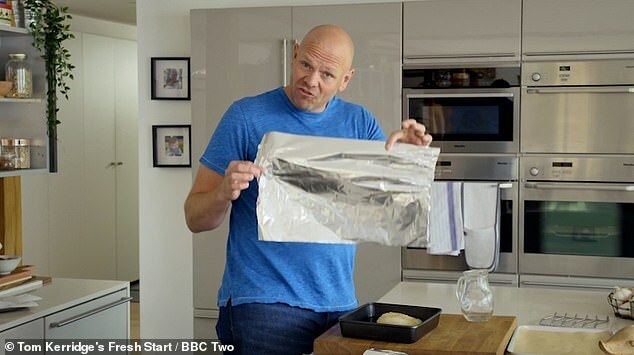 Chef Tom Kerridge claims that foil should be ‘shiny side down’ – but do YOU think he’s right? 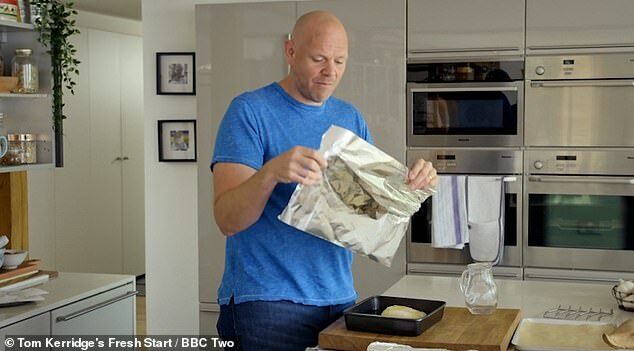 ‘I’ve been using tin foil upside down for 40 years’: Chef Tom Kerridge claims that foil should be ‘shiny side down’ and sends Twitter users into meltdown – but do YOU think he’s right? 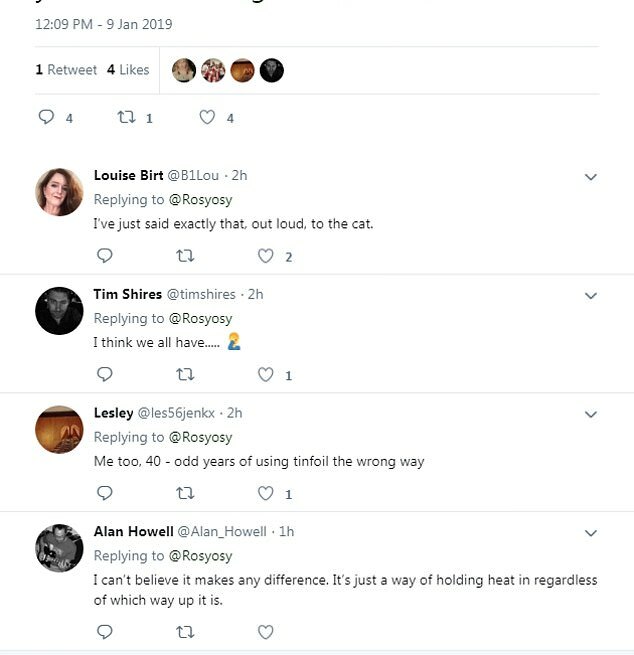 Chef Tom Kerridge showed watchers how to use tin foil on his BBC Two show Fresh Start and sent Twitter users into meltdown after explaining that you should put the shiny side face down. In the show, Kerridge guides eight families and helps them completely change the way they eat through a six-step, 12-week plan. However, the most noteworthy part of tonight’s episode was when the chef suggested that wrapping food with the shiny side up was wrong. His claim led to stunned viewers taking to Twitter to express their shock. 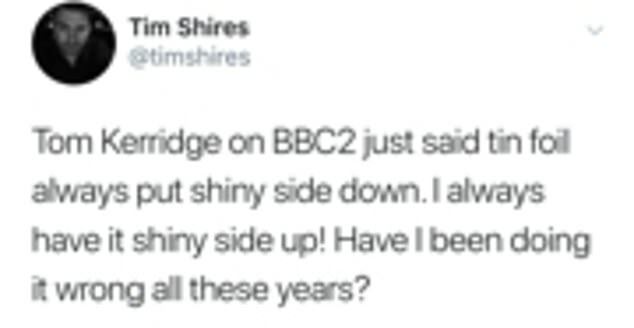 However, the most noteworthy part of the latest episode was when the chef suggested that wrapping food with the shiny side up was wrong – which caused such a furore that Kerridge was forced to clarify what he meant on ITV’s This Morning today. 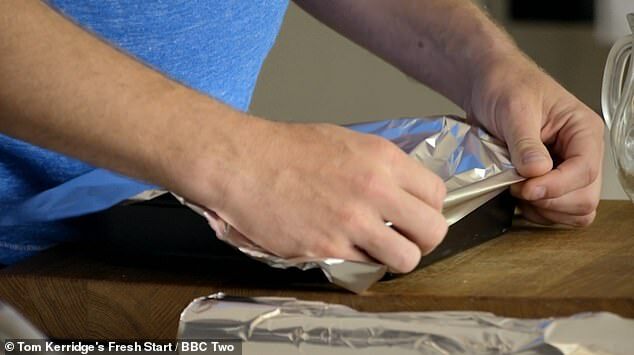 He then explained his approach to using tin foil, saying: ‘It makes perfect sense to me, I’ve always been taught that it goes shiny side down. However, some were less trusting of the chef’s claim and cast doubt over it. Some websites also appear to cast doubt on the chef’s advice. Reynold’s Kitchen, which produces different types of aluminium foil, says on its website: ‘With standard and heavy duty foil, it’s perfectly fine to place your food on either side so you can decide if you prefer to have the shiny or dull side facing out. Meanwhile, food science website culinarylore.com claimed: ‘The truth is that the shiny side of aluminum foil is only a little bit shinier than the dull side.